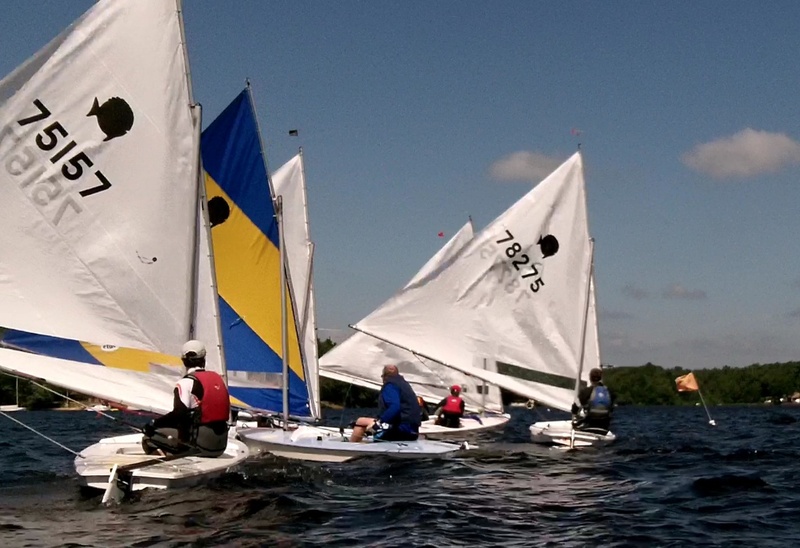 Massapoag Sunfish Fleet News: Full Steam Ahead for Saturday Sunfish Series! Full Steam Ahead for Saturday Sunfish Series! The Sunfish Fleet at MYC has been given the go ahead for the proposed Saturday Sunfish Series at MYC for next summer. The racing is to be a small boat series, with both Sunfish and Lasers, with separate starts for each fleet. Right now, the racing is planned to start at 3:00pm on Saturdays, with at least 6 races scheduled each week. Several members have already committed to the new series, and a few even offered to loan their extra boats (or their own boats when they aren't racing) to others to make it easier for people to participate. Our own Kevin Buruchian, one of the best Sunfish sailors in the world, has generously offered to conduct on and off the water racing seminars over the summer. Mark Stoughton was appointed Sunfish Fleet Captain to coordinate the effort. The 2013 racing schedule will be completed on February 21, 2013, and will be posted on this blog and on the club's web site http://SailMYC.org.